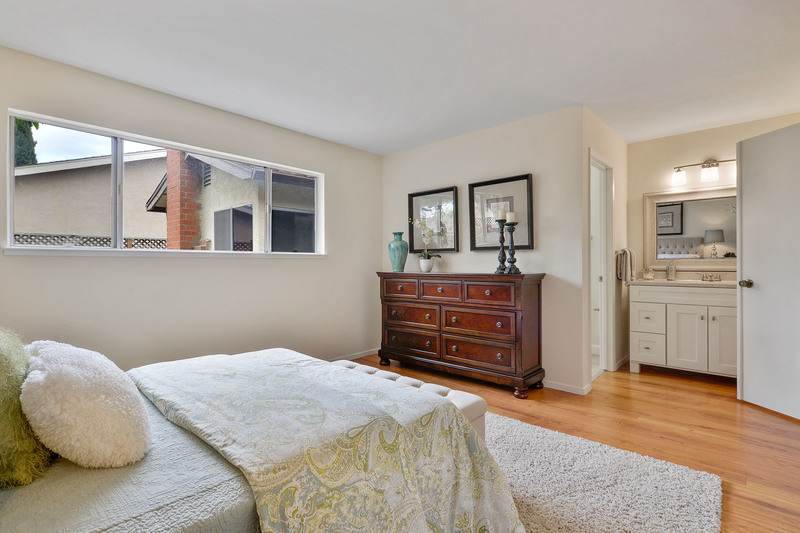 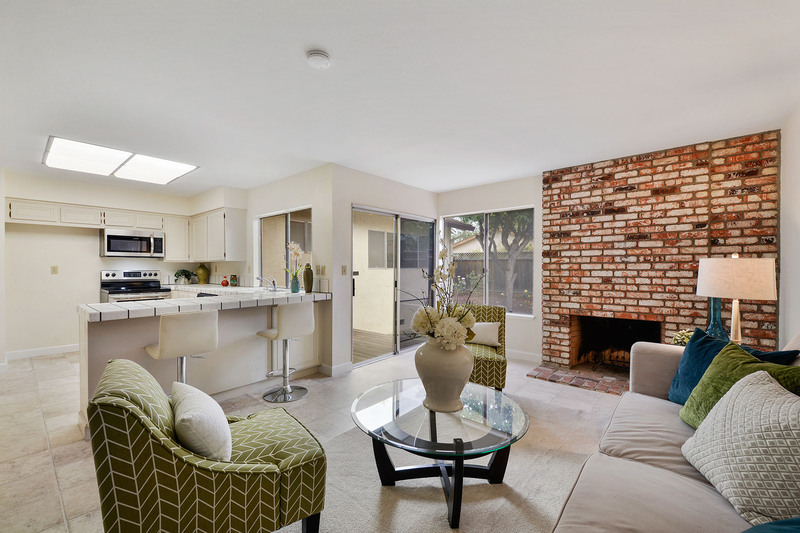 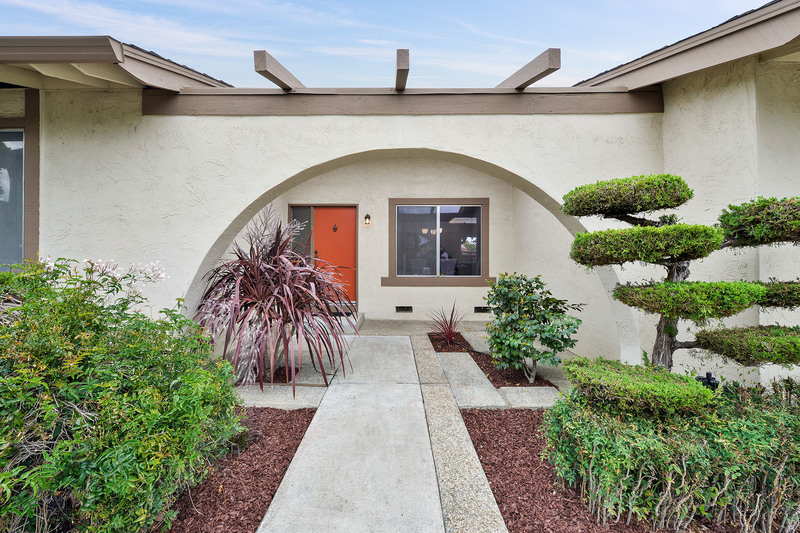 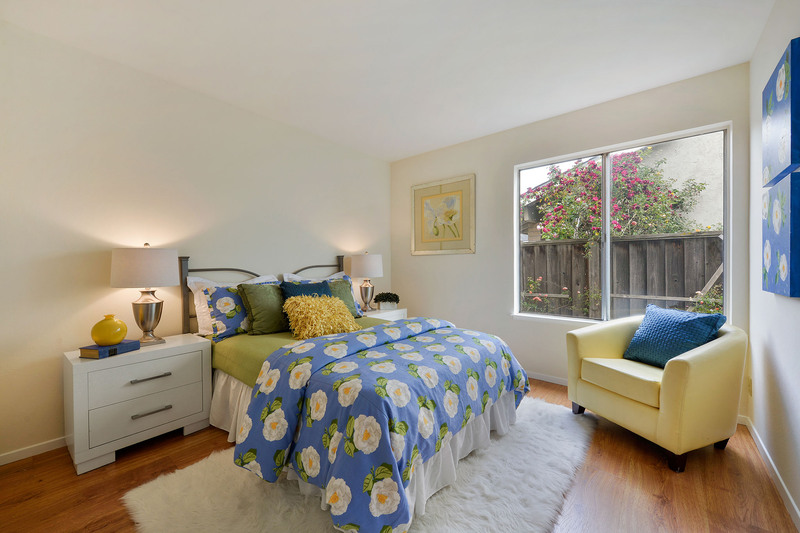 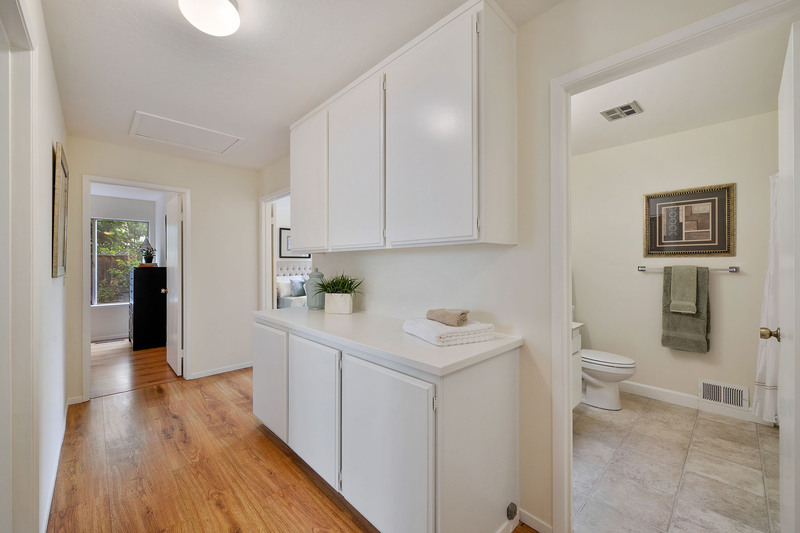 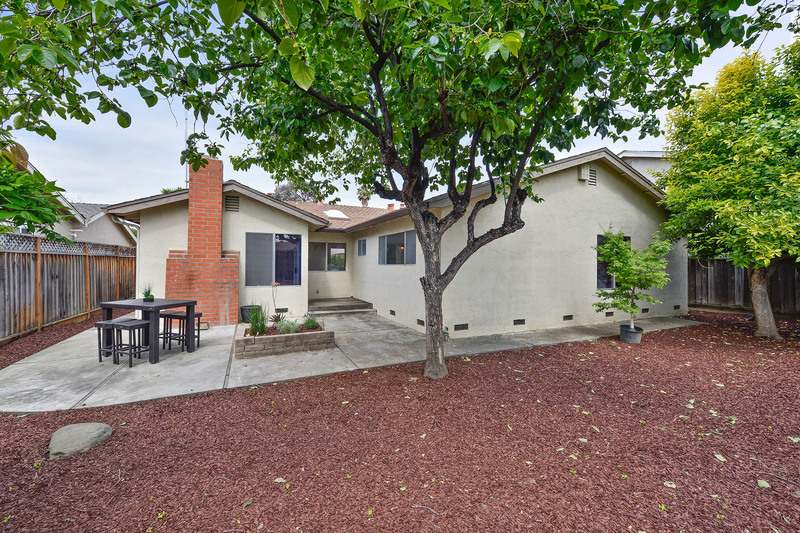 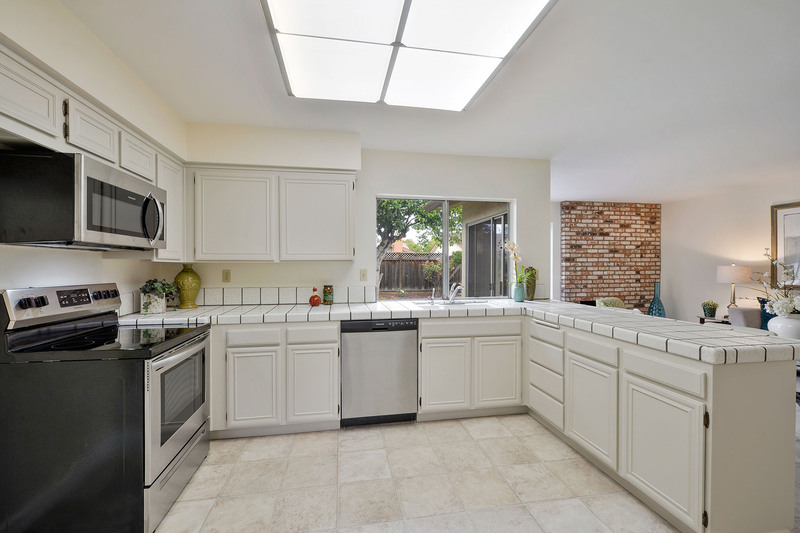 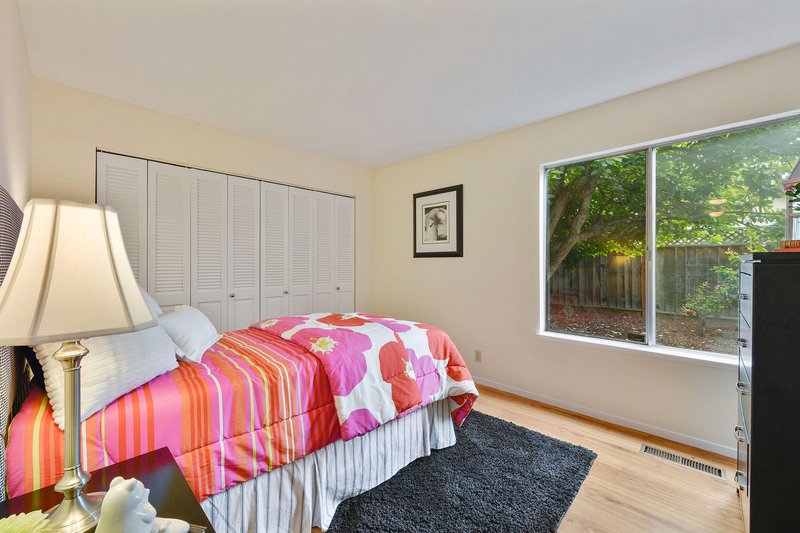 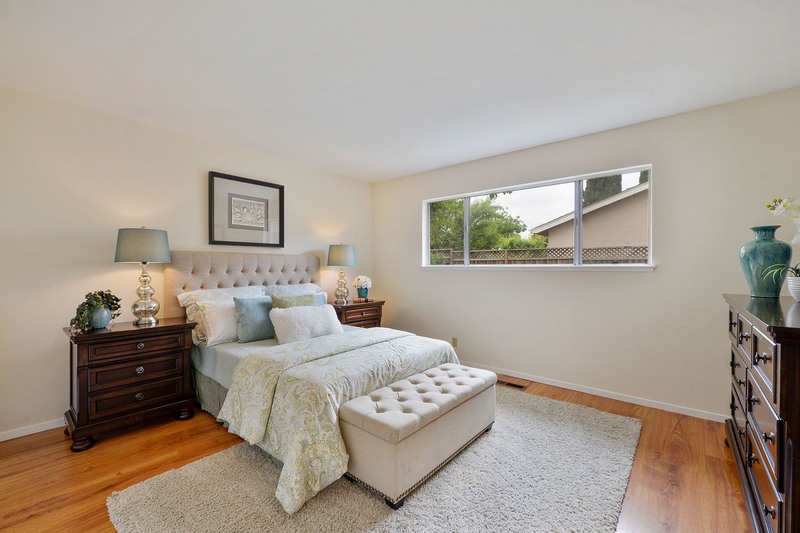 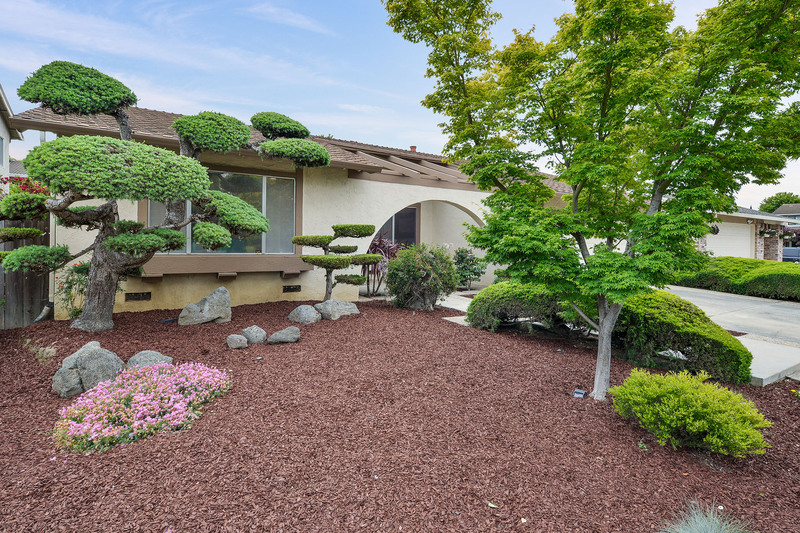 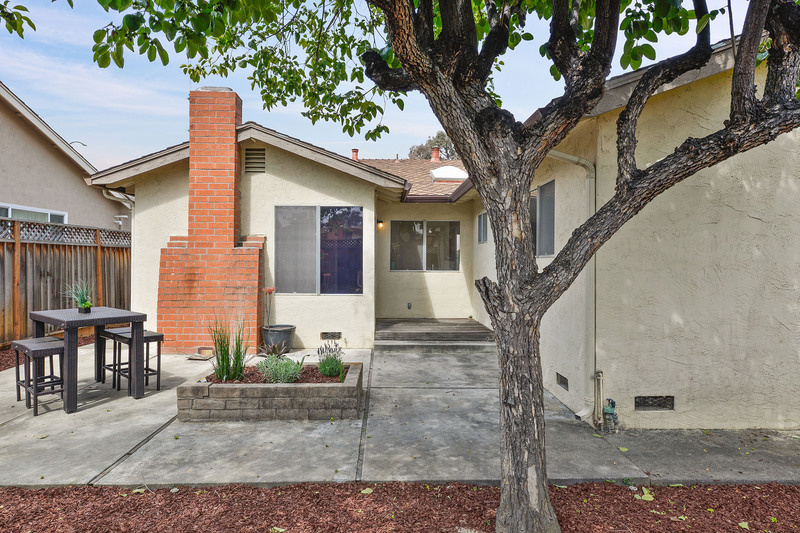 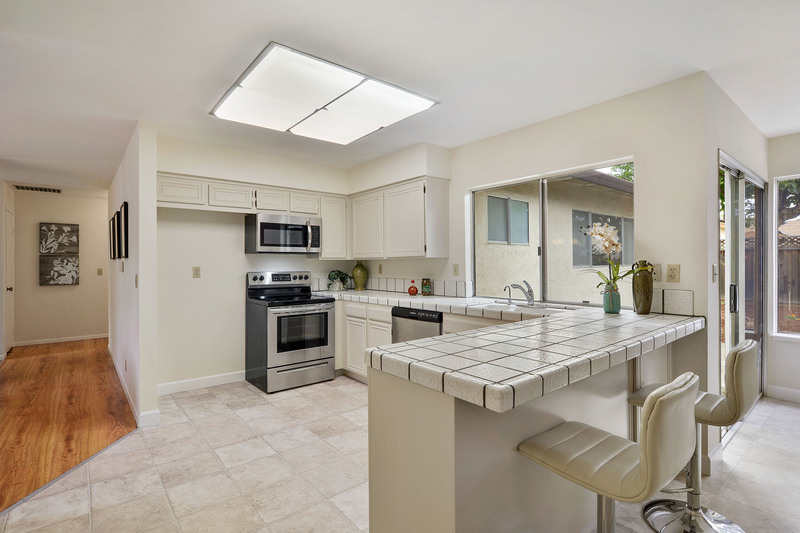 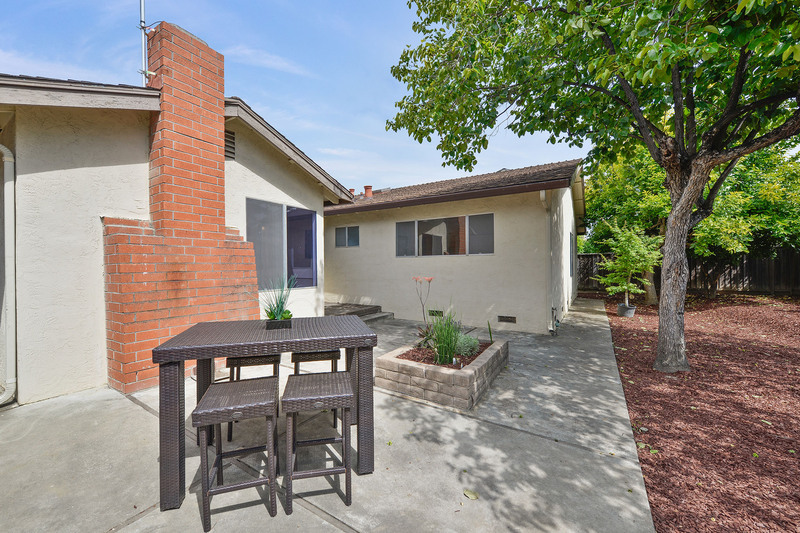 This charming West San Jose home offers a fantastic spacious floorplan in a pleasant tree-lined neighborhood. 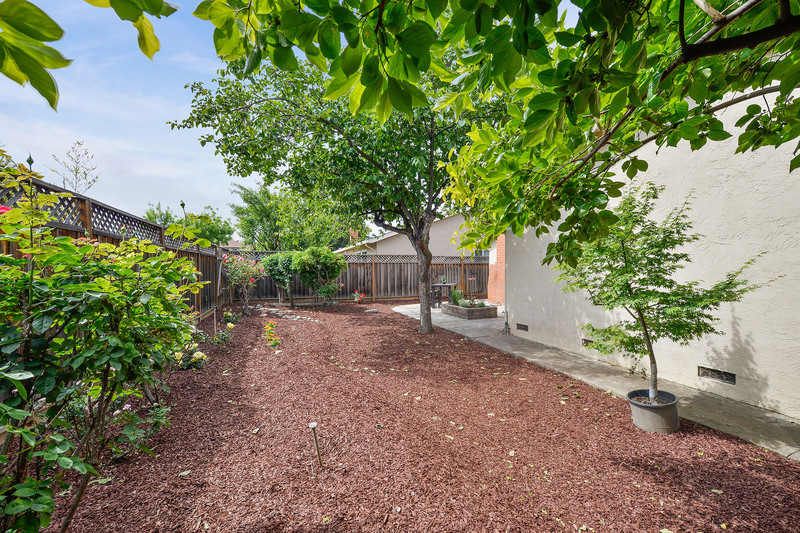 A meticulously landscaped front yard welcomes you into the home, which features 4 bedrooms and 2 tastefully updated bathrooms, including a master suite. 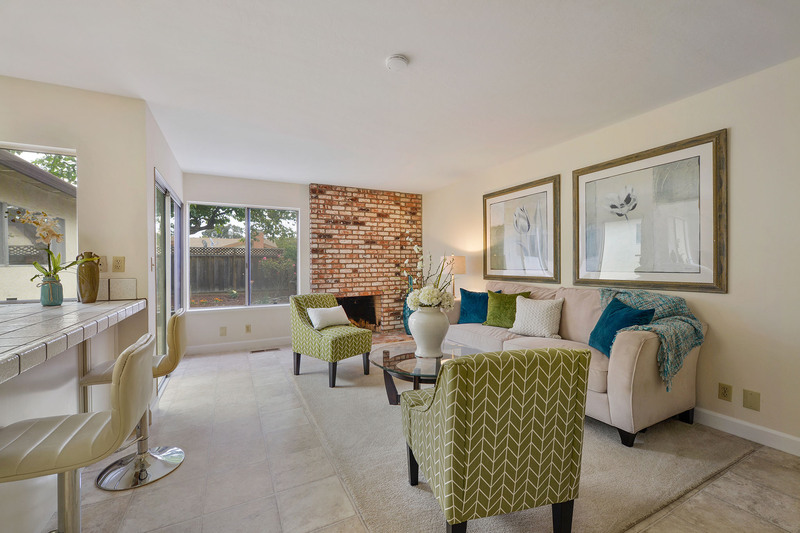 Just off the main entryway is the living room, featuring new carpeting and large picture windows drawing an abundance of natural light. 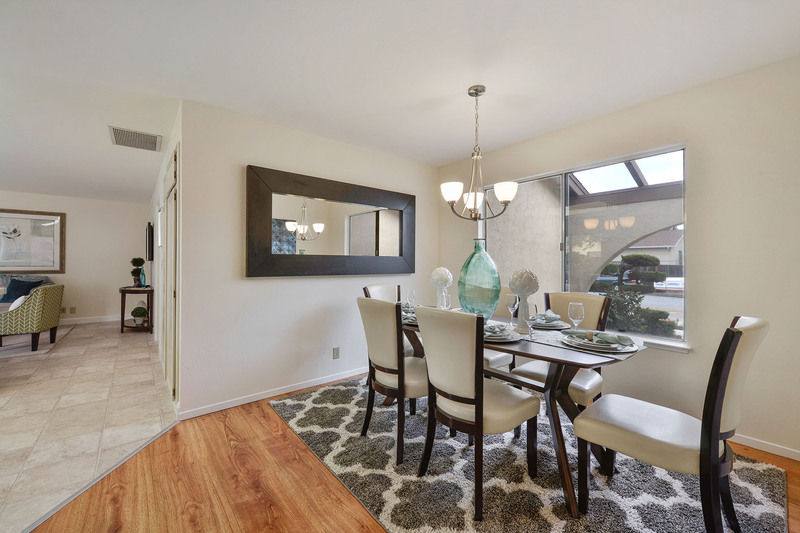 Down the hall, the formal dining room provides the perfect setting to enjoy an intimate dinner with family, while the open kitchen/family room is ideal for entertaining guests. 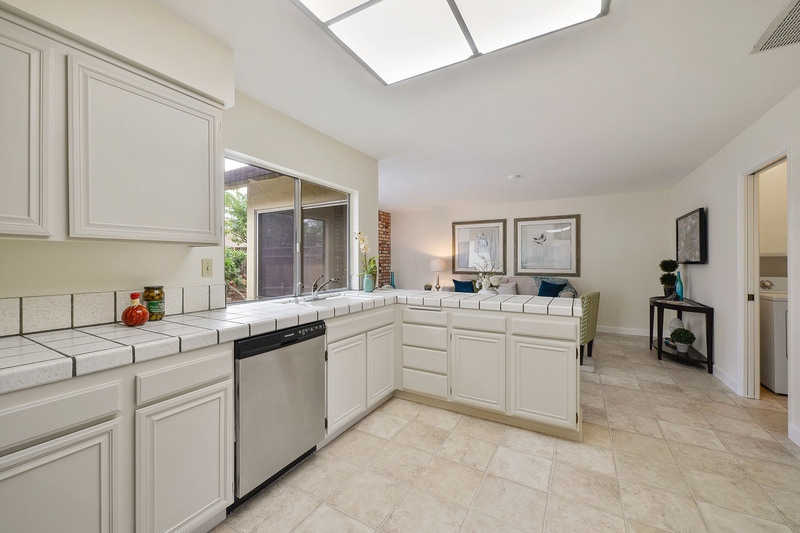 The kitchen features new stainless steel range and dishwasher, ample cabinet space, pantry for food storage, and an eat-in peninsula overlooking the family room, which enjoys a classic brick fireplace and access to the back patio through sliding glass doors. 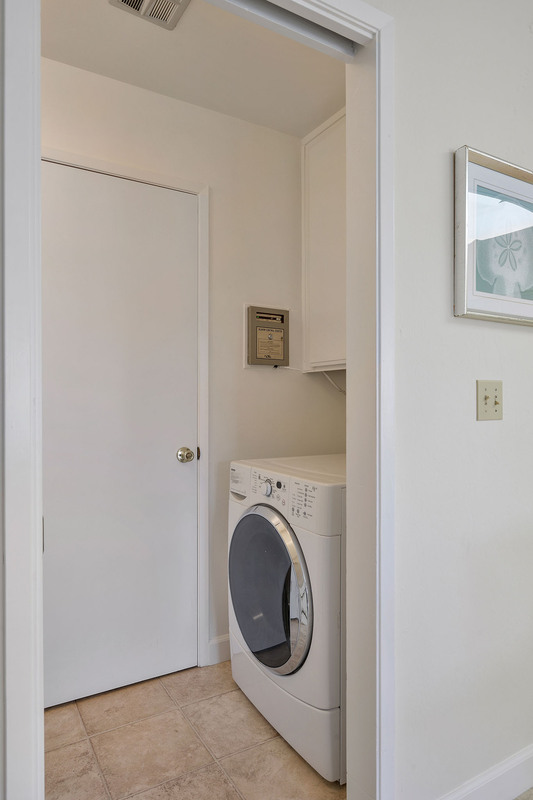 There is also an adjacent laundry room with access to the 2-car garage. 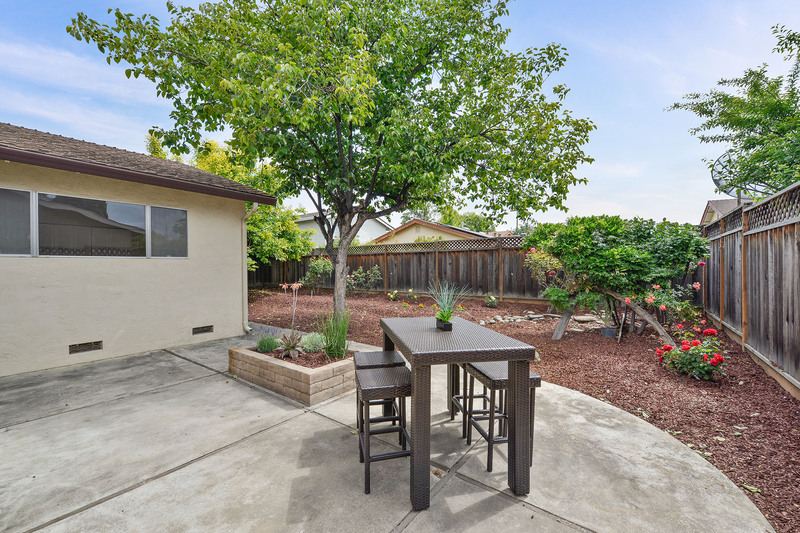 The lovely back patio and yard provide a relaxing setting to enjoy the warm San Jose weather as you BBQ, read a book, or spend some therapeutic time tending to your rose bushes. 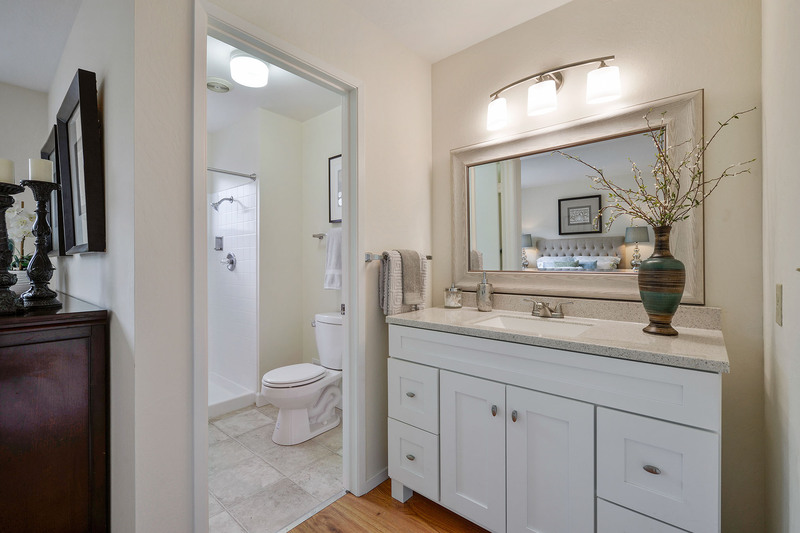 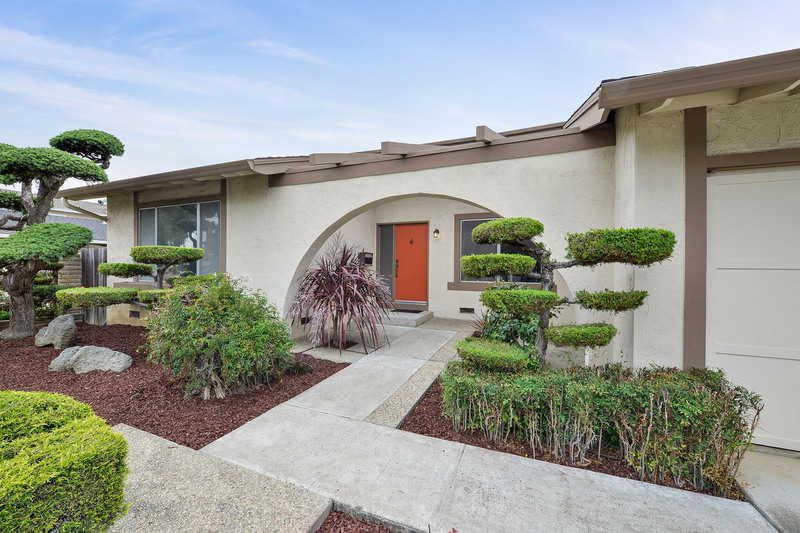 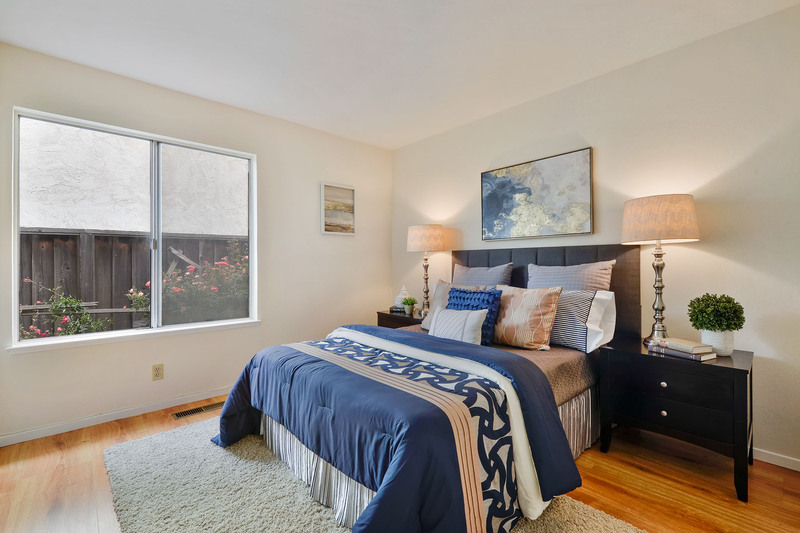 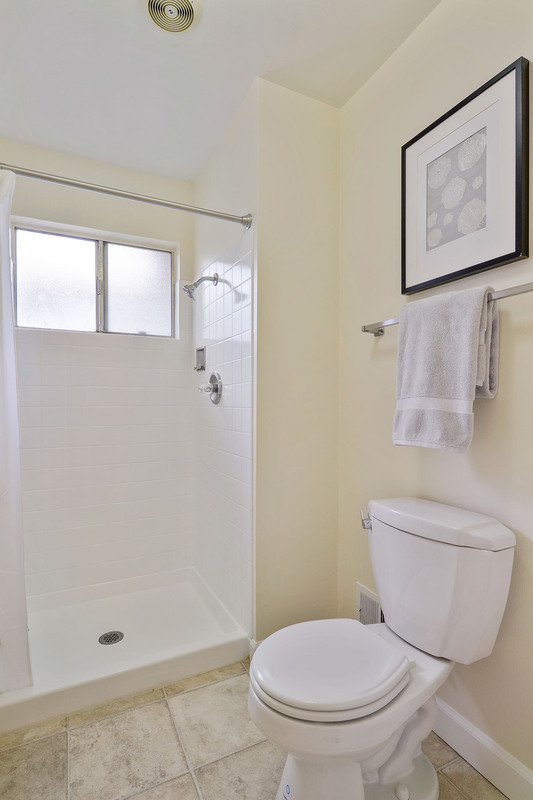 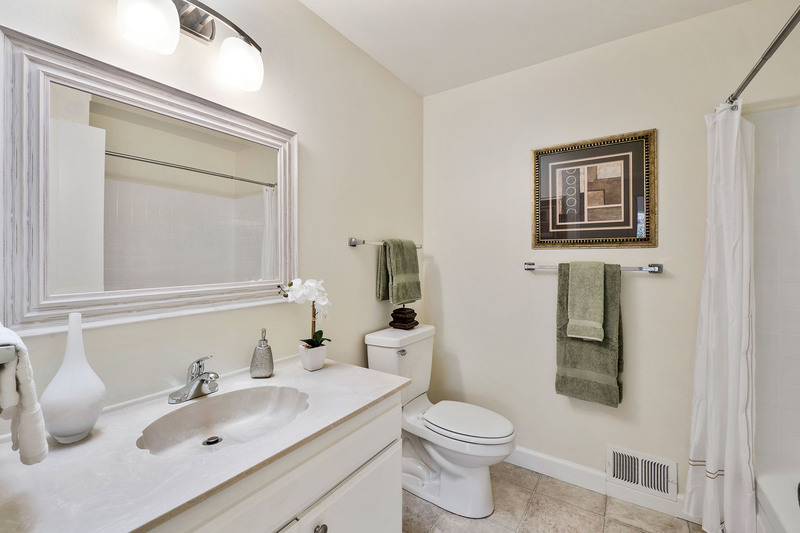 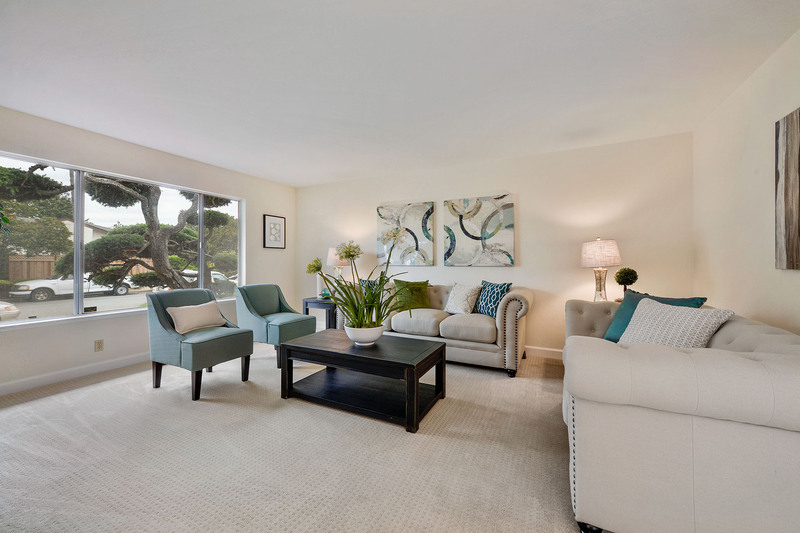 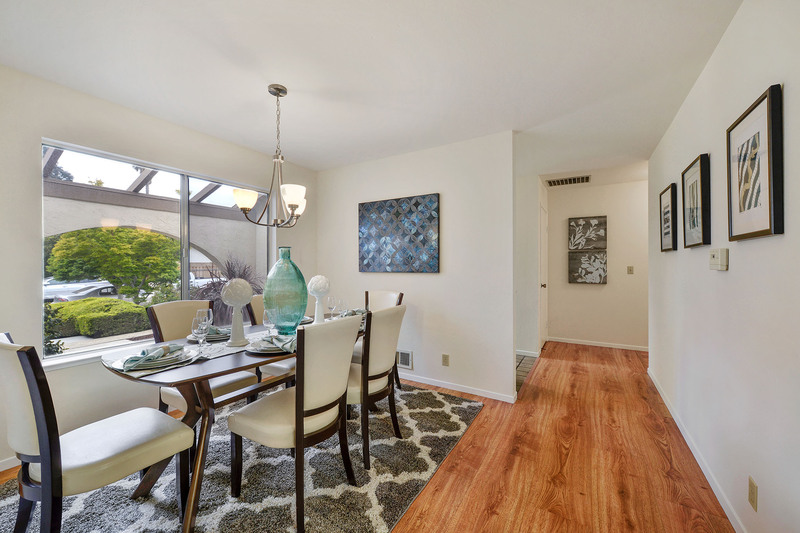 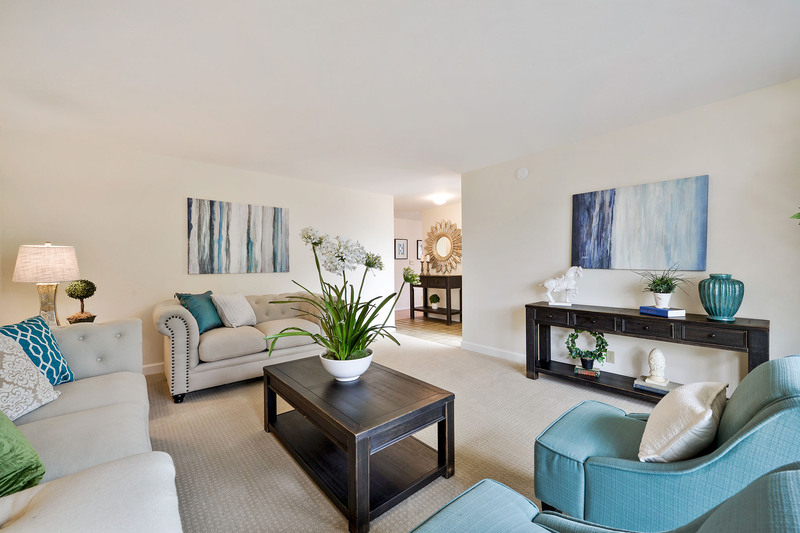 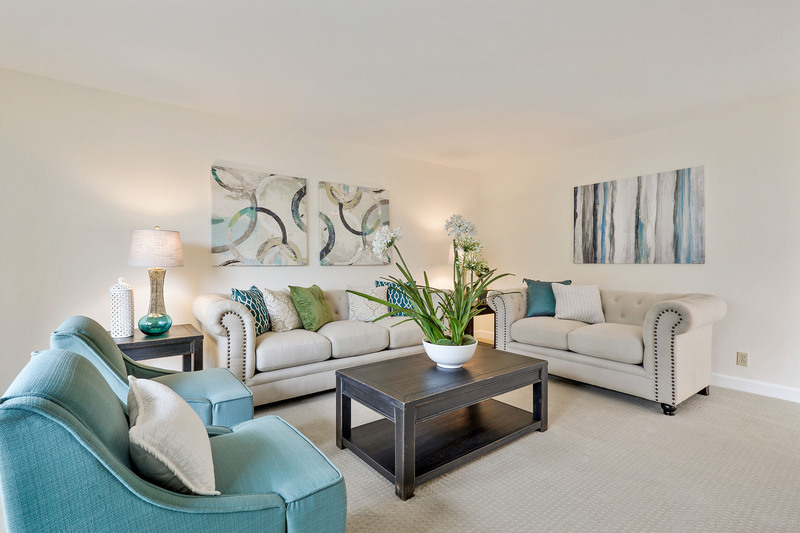 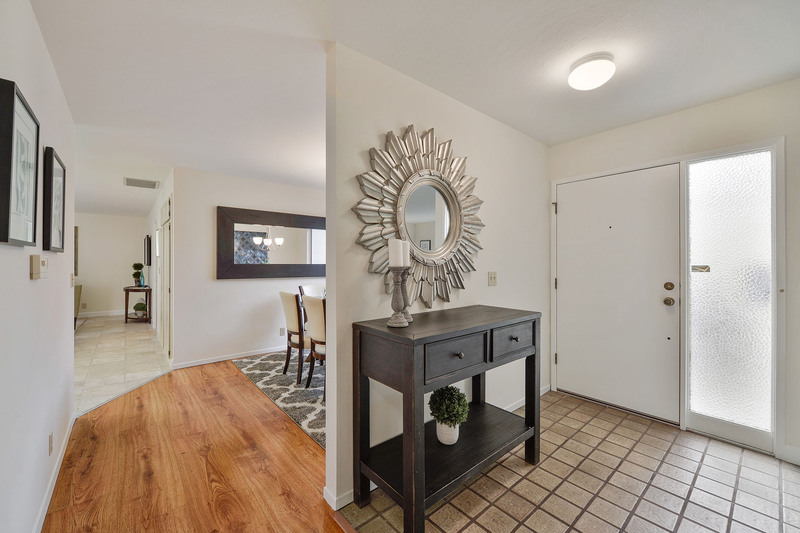 1240 Woodflower benefits from a prime location, just a couple blocks off the San Tomas expressway, and a 5 minute drive from countless shopping and dining options at the Westgate Shopping Center.